The music festival that fans deserve. 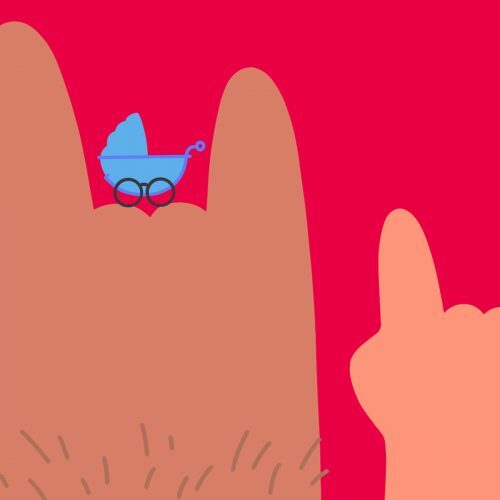 Anyone who’s been to a music festival is well aware of the frustrations that seem to have become part of the experience. After having been to several, I thought that this was as good as it was ever going to get— overwhelming corporate control, obnoxious behavior from large crowds and a lot of ridiculous flower headbands. Issues like these seemed to be taking center stage while the music was diminished into background noise. Music’s never really been given the attention it deserves at festivals though. Beginning in the 1970s with Woodstock, festivals were fundamentally an outlet for counterculture ideas and politics. Moving into the 21st century, music fests are now largely about partying and social approval, with many teenagers showing off their festival wristbands and merchandise the next week at school. Fortunately, while attending the inaugural Eaux Claires Festival, I witnessed the effects of festival founder Justin Vernon, front man of acclaimed indie-folk band Bon Iver, taking the long overdue steps to refocus the purpose of music festivals. After having pushed past the boundaries of independent music into the scope of mainstream listeners, he’s already proven himself capable of refining the music industry. And if there’s anyone with the humble prowess and passion to change the festival business for the better, it’s Justin Vernon. First and most importantly, it was clear that the Eaux Claires Festival was organized around the idea of maintaining the purity of music. Rather than contracting with a promoter to select the bands, Justin Vernon and Aaron Dessner, of successful indie-rock band The National, curated the entire lineup (which seems like a job fitting for qualified musicians that know good music). There seems to be a lack of authenticity when someone selects performers because his or her job depends on it, compared to crafting a lineup in order to give attendees the best experience possible. In the words of Vernon himself, an important goal for this festival was to “encourage music-genre-walls to melt away” and that “expression and experience [are] put above all”. With its diverse genres, the fest featured a completely different lineup from other recent festivals, which currently suffer from a serious lack of variety. 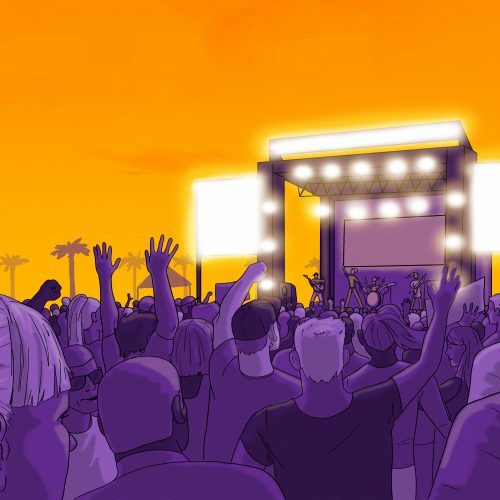 Some bands (not naming names) have even played up to 40 different music festivals in a single season, creating predictable lineup releases and homogenized concert experiences. Even more, this lineup consisted primarily of friends and inspirations for their own music. (For instance, Vernon booked The Indigo Girls specifically to perform his favorite album Swamp Ophelia in its entirety.) The close bonds these musicians shared brought a degree of equality between the bands that’s currently absent from most other music festivals. During Eaux Claires, headliners would unexpectedly step out on stage to perform with their friends during earlier time slots, and they could even be spotted watching the shows amongst the other 22,000 festival-goers. The egalitarianism of the performers was a welcome break from the holier-than-thou attitude that’s become sickeningly prominent for big-name bands at other festivals. It’s not uncommon for main acts to arrive in their private jets just minutes before they’re supposed to take the stage, while smaller bands are just thankful for the recognition of an 11 a.m. time slot. 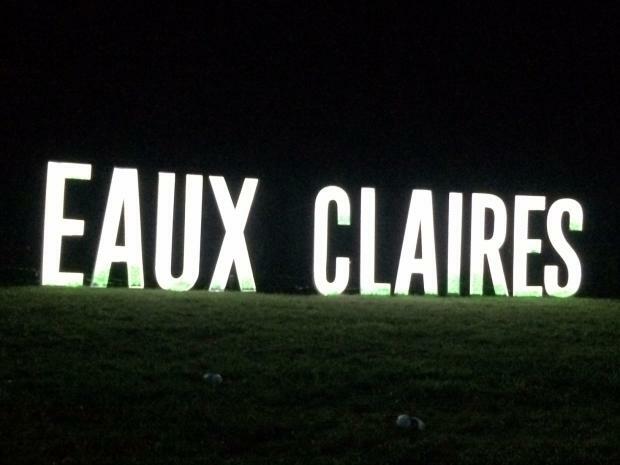 Along with maintaining equality, Eaux Claires preserved its vision for the festival by keeping corporate sponsorship on a tight leash. For once, I didn’t feel bombarded by branded content everywhere I looked. 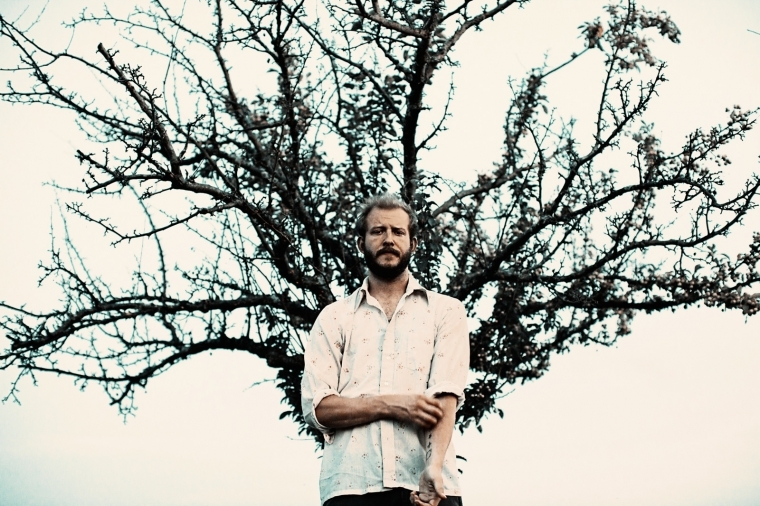 Despite the alluring, lucrative business opportunities, Justin Vernon decided to only partner with a few smaller, local companies, like Wisconsin’s own Leinenkugel Brewing Company. Somehow, Eaux Claires managed to restrain big business while keeping ticket prices at a fairly reasonable $135. It’s not completely clear whether the festival lost money on this decision, but they’ve definitely gained a lot of respect from the independent music community. Controlling sponsorships was an act of genuine care for their attendees, as much as it was used to keep the music from becoming overly commercialized. It was extremely refreshing to see a music festival take measures that display their concern for the audience’s enjoyment. 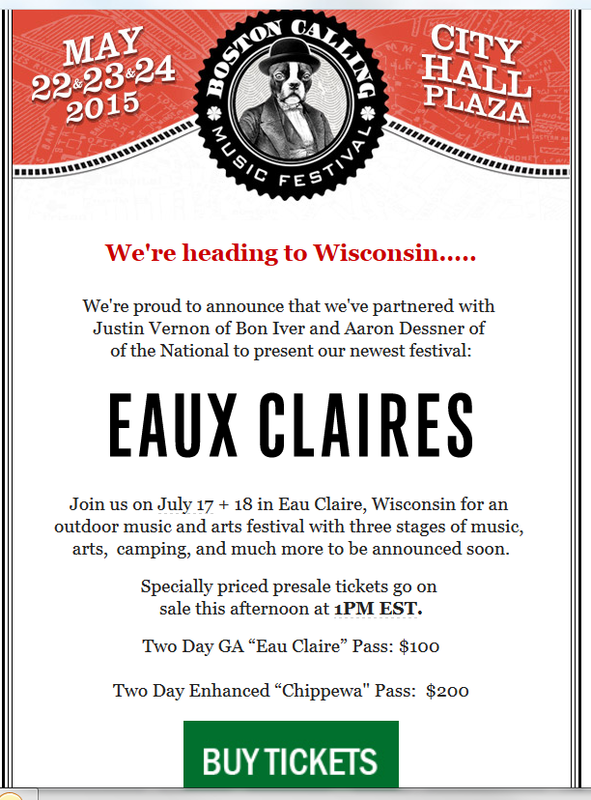 For example, the Eaux Claires staff emailed every attendee an online survey a few weeks after the event, asking us which summer weekend would personally work best for next year’s festival. Despite the fact that my opinion will be outweighed by thousands of others, it was the sincere thought that counted. Along with the festival’s friendliness, the whole Eau Claire community was overflowing with small-town, Midwestern hospitality, which can be harder to find in larger cities. Though it originally seemed slightly odd to hold a music festival “up in the woods” of Eau Claire, Wisconsin, I now realize I couldn’t have picked a more intimate, personal environment for this event. It’s likely the only festival with the atmosphere needed for Sufjan Stevens to perform his latest, hushed album Carrie & Lowell. Holding the festival in this quiet, remote town also seemed to filter out all those that wouldn’t go solely for the music, attracting instead devoted fans for the best audience possible. In my case, my friends and I drove 3,233 miles to and from Eau Claire, while others even came from as far as New Zealand for this one-of-a-kind experience. With lyrics as vague as his, along with elaborate musical arrangements, it’s easy to assume that his songs are overly deep and metaphorically complex. Though his music features universal themes, I now know that most of his songs are merely influenced by personal experiences from growing up in this town. 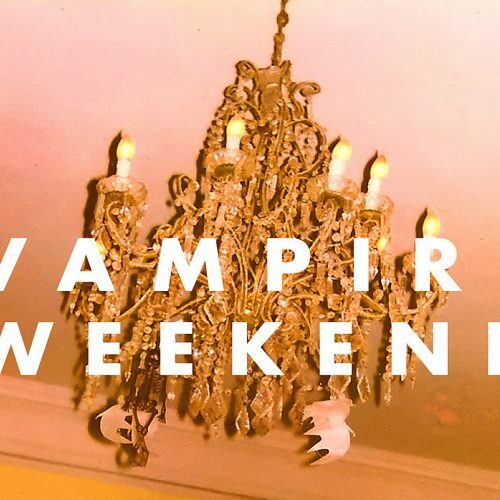 My perspective of one of my favorite bands has dramatically changed because of the Eaux Claires Festival, which I can’t say with any other festival I’ve attended.